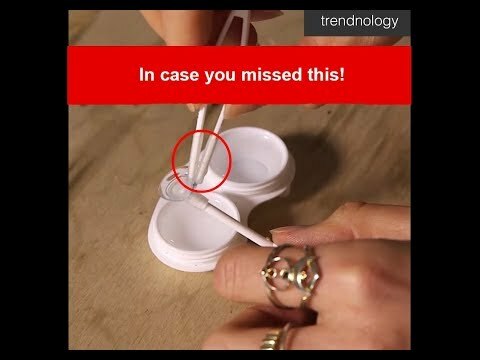 Easy Contact Lens Remover helps you put in and remove your contact lens easily with dirty hands. - Handy & Portable. Bring it everywhere you go! 1. Use the soft silicon tip tweezer to place the contact lens on the applicator stick. 2. Hold up eyelid, open your eyes wide, eyes looking upward. Place Contact Lens into your eye. 3. To Remove contact lens: Hold up eyelid, with eyes looking upward. Use the tweezer (silicon tip nozzle pointing upward) to gently grip the bottom half of your contact lens. Great product; So easy to use and definitely worth the money ! Small, easy to use. Does what it is supposed to do. Best part, it arrived much quicker than expected! Love the product, uses it every night. These tools are essential for newbies like me putting in contacts.. only wear contact for cosplay, and I am so happy I bought this! It comes quick in a great package. Many thanks! Super handy and love the color! Saves alot of time. This didnt take long at all to get to me and very helpful. Ive always had a hard time touching my eye or trying to not get little fiber from my fingers on my lenses. Product arrived fast to my house. It is useful. The product looks the same as shown in the photo. Shipping was really fast.